Kayak rental for all ages. 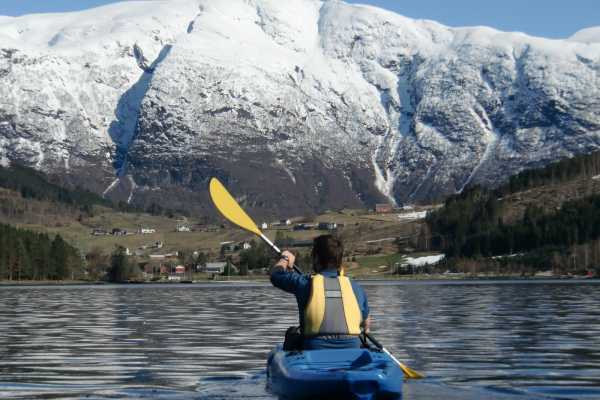 B-Active Kayaks are super stable and unsinkable sit-on-top kayaks that are safe to use without extensive experience. 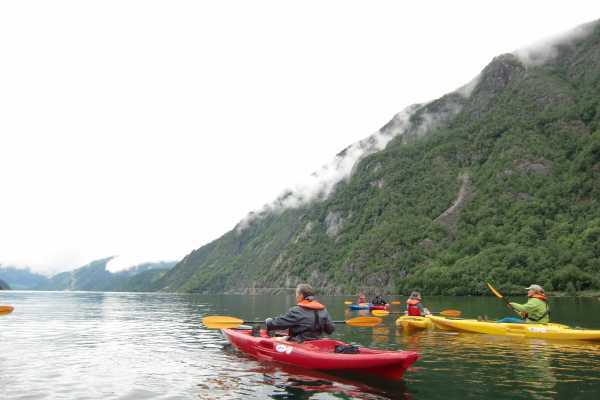 Perfect for trips on the Ulvik fjord for just 1 hour to a whole day. No experience required. Also suitable for fishing trips on the fjord. Have a look at our fishing equipment rental options. Latest return time for multi day kayak rental: 20:00 h.
- Information about routes, destinations and points of interest available at the reception. - All ages. No special requirements expected. Minor children from 5 j have to be accompanied by parents. - Participation is at own responsibility and after signing a waiver. - Shoes, spare clothing, camera etc can be stored in waterproof containers. 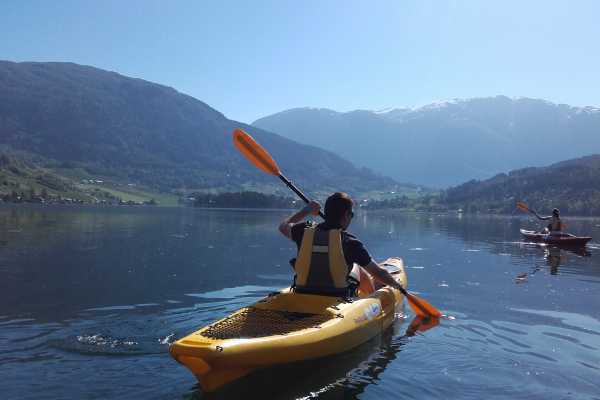 The 1st hour of kayak rental is free for over-night staying guests in one of the B-Nature accommodations. 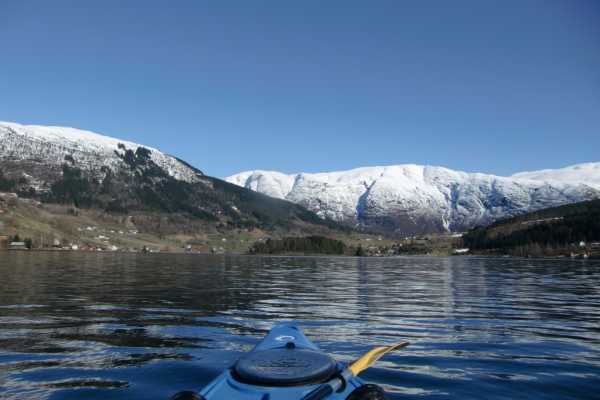 Explore Ulvik and Osa from Fjord side! The kayaks from the B-Active Center are very stable, making it suitable for everyone regardless their experience or age!